We decided to watch a film. We couldn&apos;t decide what though. It was a between Back to the Future, I always had a tiny crush on Michael. J. Fox, Madagascar and Princess diaries. I chose Back to the Future, Aston chose Madagascar and I wasn&apos;t surprised when Mark chose Princess diaries. We finally decided on a non-kiddy film and chose Back to the Future, one of my all time favourites. I sat in the middle of the boys and held Aston&apos;s hand. This was nice. Chilling with my boyfriend and my best friend all we needed was Soph, the JLS boys and mum and Katie. I looked over to Maria. She was holding Aston&apos;s hand. Anger ran through me. They were engrossed in the film, this my chance to pull a move, yeah she has a boyfriend, doesn&apos;t stop me. I yawned and stretched my arms out and one came round the back of Maria&apos;s neck. Old school tricks always work. She didn&apos;t move, actually she lent back onto my arm. It was 9:30pm and Maria was asleep. Still resting on my arm and holding Aston&apos;s hand. She looked so peaceful and gorgeous as moved her head facing me. I was so tempted to kiss her there and then but her boyfriend was there. "Psst. Aston. Maria&apos;s asleep." I said. He looked at her and smiled. Cheeky beggar. I really didn&apos;t like this guy. He picked her up bridal style. Oh how I wish I could do that with her. I followed him to her bedroom as he placed her on the bed and pulled the covers over her. He kissed her gently on her lips and whispered "Goodnight beautiful. See you in the morning." Aston&apos;s touch woke me up but I pretended to be asleep. He whispered with his sweet voice "Goodnight beautiful. See you in the morning." and walked out. Mark was just staring. Whats up with the guy? Then I found out. "I&apos;m glad your asleep as I couldn&apos;t say this too your face. You are the most gorgeous, kindest and cutest girl I have ever met. First day I laid my eyes on you, I was memorised by your beauty. When we made friends you were the kindest to me. You made coming to school worth while. I ... I still love you, more than a friend. Aston is a lucky guy and I wish I was him. Always remember I&apos;m here for you and I love you." and Mark leaned over and kissed my cheek and walked out. I never knew he still felt that way. He told me when we left high school that he never saw me more than a friend. 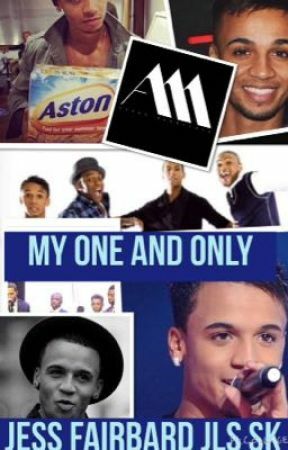 I love Aston. I don&apos;t feel that way about Mark. I feel so bad but he can&apos;t make me love him. Thinking, I went back to sleep. Mark trudged down the stairs. "What took you so long?" I asked. He looked over and said "Oh went to the toilet." I nodded and continued watching the film. "So how long you two been together?" Mark asked. My eyes fixed on the TV not wanting to make eye contact I said "Urr 2 weeks." this time I looked over to him as I explained how I asked her. "Wow. That&apos;s an amazing way to ask her." he replied in a shocked voice. "No one knew I was going to do it." I said looking back over to the TV. "So, I heard you fancied Maria in high school." I tried to make conversation. "Yeah." he said nervously. "Not anymore though. We&apos;re just good friends." he added. "Its ok mate. I understand. Who could resist Maria anyway?"